The conventional approach of website designing is to build a digital platform for blowing our own trumpet in tunes of the particular set of keywords. As the search engines are getting smarter, we too need a smart approach to impress them for getting better ranking. Recently conducted analysis reports confirm that the websites designed around the themes of the particular set of keywords are ranked better in search results. In other words, the websites having content categorized into different categories and subcategories perform better. 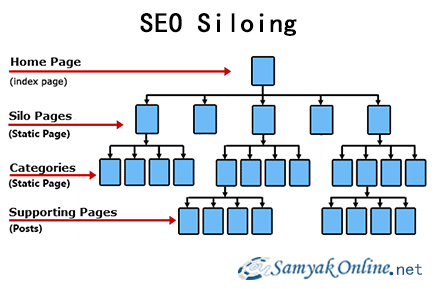 Today, siloing has become an essential part of any smart SEO package. 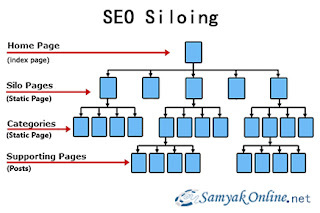 Wouldn’t you like knowing more about SEO siloing to direct your SEO expert? The key areas, you need to focus upon for physical siloing, are home page, categories & sub-topics, category pages, supporting pages, blog etc. The homepage must have the precise information about the products/services with a welcome gesture for the visitors. The website should be designed with silo categories and sub-categories. Siloing the website categories means easy to understand titles supporting to keep the URLs short. The 3rd step for siloing the website is to optimize the content; the keywords enriched content should be optimized and placed in each category and sub category in accordance with the relevance of theme of the particular section. Creating the pages to support the main category is a smart tactic to maximize the performance by siloing; your focus should be on the categorization of content to reinforce the silo theme of the particular category. Each sub- category should relate to prime category. No need to say that blog on the website gives you the freedom to connect with your target audience; each post should be relevant to the keyword and the specific category. After physical siloing, the next step is to manage virtual siloing of the website. The tighter the focus on the theme highlighting is, better the website’s pages are ranked in search results. Having the link relevant pages is the primary requisite for getting the better slot in ranking. A targeted internal linking strategy is the basic requirement for virtual siloing of the website. When we talk about inbound linking practices pertaining to siloing, the hyperlinked text should be the most used keyword or phrase instead of just being the brand or company name. Search engines are getting smarter with each update; so, you too need to be so for competitive SEO; and, the website siloing is the often neglected but powerful practice to help you rank better.